Are you a child genius? The team are looking for children aged 8-12 years from the UK to take part in the new series. 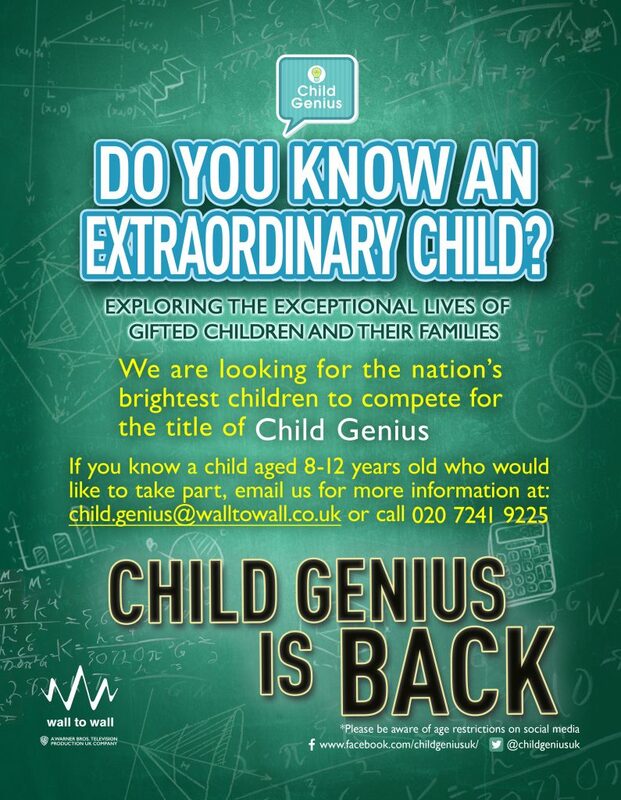 Check out their application form here and catch up on the most recent series of Child Genius here.